Tonita Cary values many things, but teamwork and togetherness will always be near the top of the list. Spending 13 years in the United States Army certainly has a way of driving home the importance of working together to accomplish a goal, and that mentality was anything but lost on the former staff sergeant when she transitioned to civilian work. So, when she set out on her post-military career, Cary knew immediately that, wherever she landed, the input of others would be vitally important in her day-to-day activities. It would be the bedrock philosophy on which she operated. 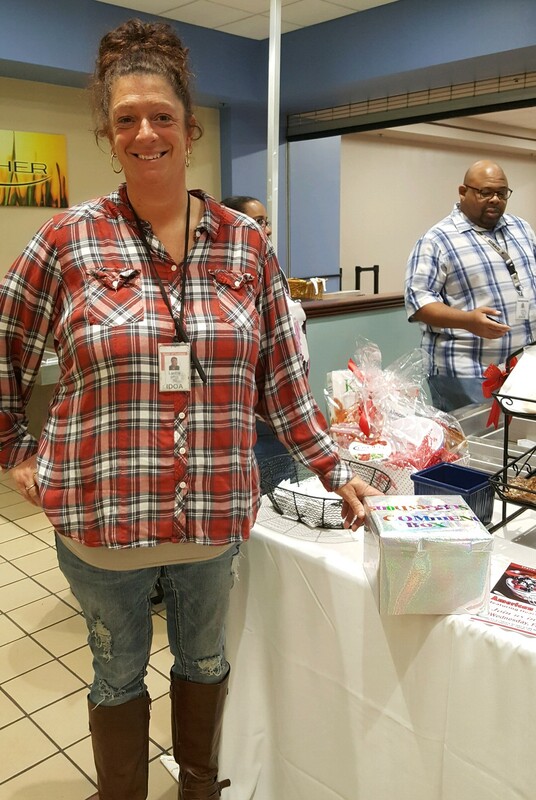 Just a few months into her work at Fresh Seasons Café in the Indiana Government Center, the site manager for both locations (north and south) has bonded with her relatively small food service team due in large part to her continued focus on camaraderie and collaboration. Tonita is backed by office managers Laurie Collins and Eliza Aguilar, and executive chef Tyrus Harris, all of whom operate with the same philosophy: customer first. Now Tonita’s calling on those customers to take an active role in the Fresh Seasons menu by offering cafeteria-goers the chance to have their voices heard. “I just wanted to get a fresh view of the opportunities we have here,” she said. Tonita hopes to keep the staple items that have people returning to the cafeteria again and again while also promoting healthy choices in order to broaden the appeal of the café. Same-old, same-old doesn’t fly if you want to attract people to your business. Cary has learned that through more than a decade of food service experience. Her solution: Let the customers have as much input on what’s on the menu as possible. Cary decorated and set out a suggestion box near the cash registers in both IGC cafeterias in early February. Each box will serve as a repository of customer ideas. Want to see something new? Drop your comment in the box, and Tonita and her crew will do what they can to make it happen. Had a great experience? The staff would love to hear that as well. Fresh Seasons Cafe office manager Laurie Collins shows off the cafeteria’s new comment box. One week after setting the boxes out, Cary and Collins said they had already received “several” suggestions/comments. Accepted suggestions could take some time to become a reality (perhaps a month or so), meaning patience is key. But Cary wants her customers to know that their input is valued and that their wants and concerns are taken to heart. She believes the suggestion box can allow Fresh Seasons visitors to become more invested in their lunch options each day. Tonita Cary (right) manages the Fresh Seasons Cafes in IGC North and South. 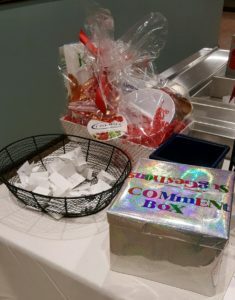 She hopes a new comment box will encourage customers to share what they would like to see on the menu. Healthy choices are a major focus for Cary and her team. If there’s something you’d like to see, drop a suggestion in the box. It’s really that simple. Tonita sees these types of interactions as vital components of customer service. That philosophy extends to the menu, which the cafeteria manager said should feature only “fresh, high quality, wholesome” offerings. 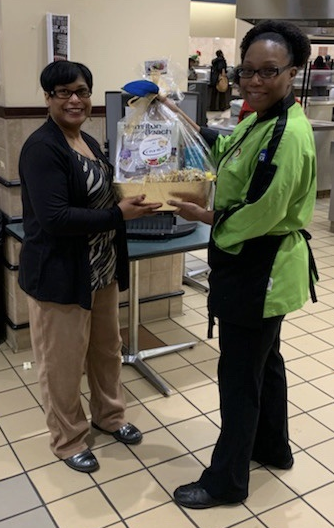 Along with promoting healthier cafeteria options, Tonita Cary hopes to forge a stronger connection between patrons and the place they choose to eat lunch. Similarly, she’s enjoying working with her new crew, and she’s hoping the obviously positive working relationship they share is something that can be felt by cafeteria visitors too. Cary has a genuine affection for her colleagues. She’s hoping the comment box will have a similar effect on customers. After all, people may not always consider why they like and/or frequent a particular food establishment, but they’re quite likely never to forget a bad experience. Tonita and her Fresh Seasons group are working hard to ensure that will never be the case for cafeteria visitors. Meal time is one of the most important parts of a person’s day, work or otherwise, the army veteran believes, and playing a role in making it a positive experience each and every day is something she relishes. I appreciate the cafeteria. One of the issues though is half the food has names most people do not know what they are. Fancy names are not necessary. Basic food that looks good and is FRESH, people will like it. If you have a popular item like Friday turkey carved sandwiches, why not have 2 people working the stand like you do with popular baked potato day. It works better and is better customer service. The salad bar is nice, but so expensive. Thanks for trying to make it all better!